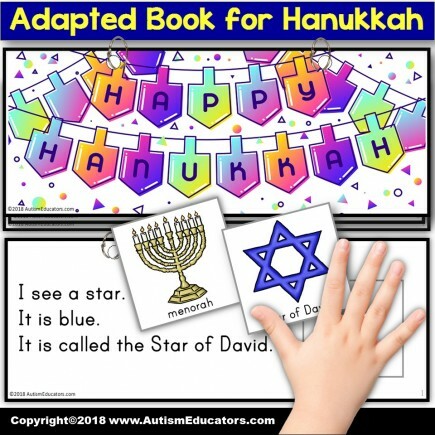 Learn about Hanukkah and Jewish holiday traditions with this Adapted Book for Hanukkah! WHAT IS AN ADAPTED BOOK? 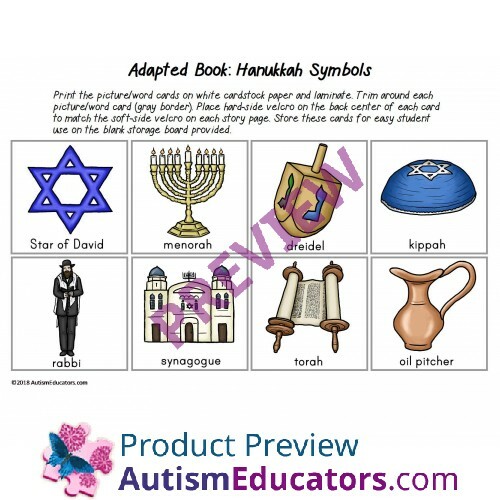 An adapted book is an activity with easy-to-read text (sometimes using repetitive text) and pictures to match. 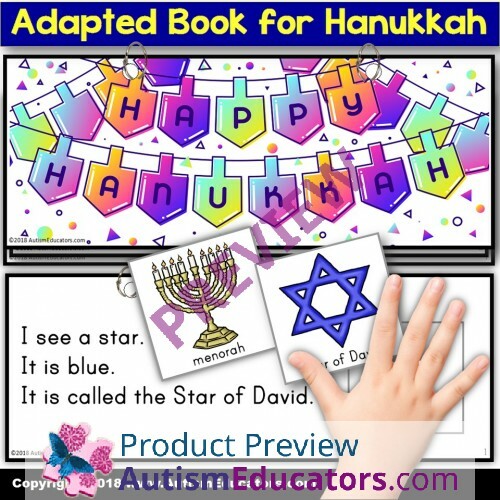 WHAT’S INCLUDED WITH THIS Adapted Book For Hanukkah? CAN I SHARE THIS ADAPTED BOOK WITH OTHER TEACHERS? None of our activities can be shared with other staff members due to copyright laws and licensing rules. You CAN suggest that they purchase their very own adapted book, or you may purchase an additional license for them. **Please see all copyright and licensing rules included with each product. 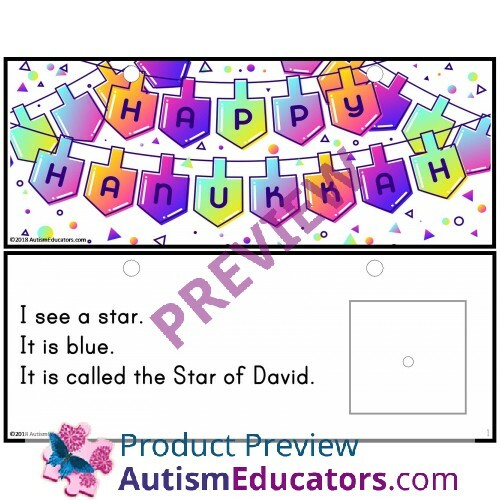 If you EVER have ANY questions about this, or any of my products, please feel welcome to contact me at: DSinger@AutismEducators.com. 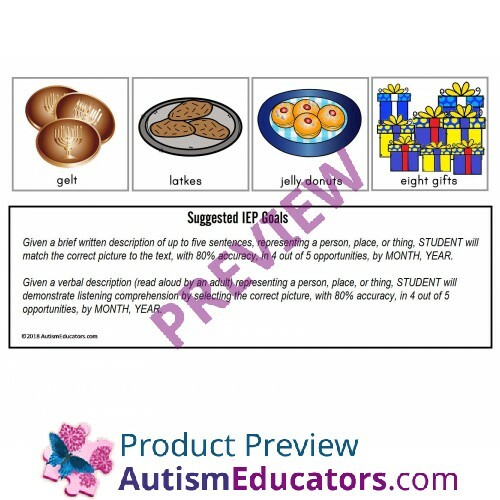 Given a brief written description of up to five sentences representing a person, place, or thing, STUDENT will match the correct picture to the text, with 80% accuracy, in 4 out of 5 opportunities, by MONTH, YEAR. Given a verbal description (read aloud by an adult) representing a person, place, or thing, STUDENT will demonstrate listening comprehension by selecting the correct picture, with 80% accuracy, in 4 out of 5 opportunities, by MONTH, YEAR.